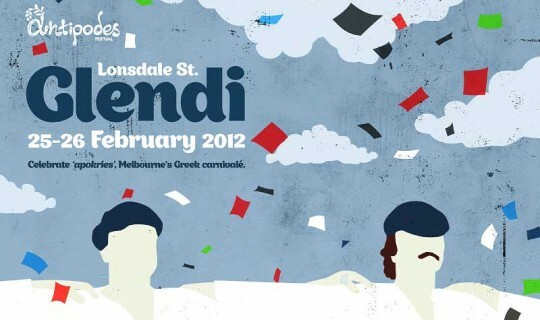 The Lonsdale Street Glendi, a highlight of the Greek Community’s Antipodes Festival, which this year celebrates 25 years, will once again celebrate apokries – the tradition of carnivalé, in what promises to be two days of frivolity, good food and free entertainment for the whole family. This free street party staged along Melbourne’s Lonsdale Street, brings together local and international performers, cooking demonstrations, children’s activities and food, for a weekend of fun and feasting. This year’s headline act is Pantelis Thalassinos; one of Greece’s most iconic contemporary singers and songwriters, and with this being his first visit to Australia, it will be huge. He performs at 8:30pm on Saturday 25 February on the main stage, Lonsdale Street. Come down the Glendi and fly the Greek flag with us! Pantelis Thalassinos is one of Greece’s most iconic singers and songwriters, and since he began performing in 1977, has gained a reputation as one of the greatest male voices in contemporary Greek music. 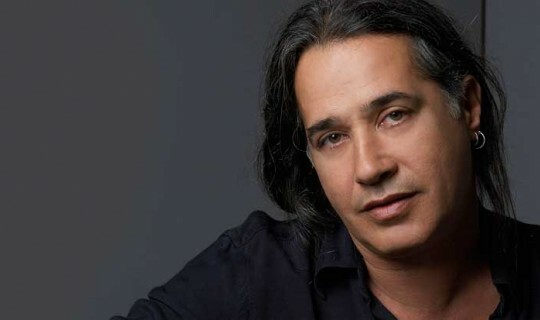 He has released six albums and collaborated with other great artists including Melina Kana, George Dalaras and Babis Stokas, Best known for his songs Ta Smirneika Tragoudia, Anathema Se and Karavia Chiotika, he is set to wow Melbourne during his one and only free show at the Lonsdale Street Glendi. The beautiful music of the Balkans is the result of European and Oriental musical traditions meeting, over centuries cross-pollinating, and creating an early fusion of these established forms of musical expression. OPA! will bring the entire street to life, performing with local musicians Thomas Missios and Sotiri Tragianopoulos. OPA! are regular favourites at 303 High Street, Northcote. Well known clarinet player Makis Tsikos from Epiros will be bringing his vast experience to Melbourne performing with one of Macedonia’s finest traditional singers, Giannis Kapsalis. Australian born Sifis Tsourdalakis, who has mastered the Cretan lyra while living in Crete for the last 12 years, returns to Melbourne to perform a number of events including the Lonsdale Street Glendi. Manolis Kaklis, one of Crete’s best vocal singers, will join Sifis, together with Stelios Papadakis, also from Crete, playing the lute. You might need the endurance of Nadal or Djokovic to make it to the end of this dancing competition. The last person dancing will be rewarded with a return flight to Greece courtesy of Touchdown Tours. Entry forms available from www.antipodesfestival.com.au or from the Information Hub on the day. Cultural Plateia – Showcasing regions from Greece. Melbourne’s Greek community is supported by a number of cultural associations which encourage the preservation of traditions, music and dances. Regions include Cyprus, Crete, Peloponnese, Epirus, Macedonia, Thrace and Pontos and these areas and their carnivalé traditions will be represented in the ‘Plateia’ (or square) by the various cultural associations. Children will love what’s on offer in the kids space. Greek dancing demonstrations, lessons, storytelling and carnival rides. As well as entertainment on stage, children can create their own masks, make kites or have their face painted. Kids Space has a very detailed program on offer with events running every 15 minutes on average. To see the detailed program click here. See some of Melbourne finest Greek chefs, cooking instructors and home cooks at work in the Chobani Greek Kitchen at the Lonsdale St Glendi. From traditional pites to innovative Modern Greek food, we showcase the diversity of Greek cuisine during two days of cooking demonstrations. Travis McAuley, head chef Hellenic Republic, arguably Melbourne’s hottest Greek taverna, will present popular dishes from the award-winning restaurant’s menu. Chefs Phil Vakos and Vas Donoudis will demonstrate their flair at creating contemporary Greek dishes. Vicki Peppos from The Sweet Greek cooking school joins forces with Mary Valle, author of My Greek Kitchen, to present Greek sweets, while cooking instructor Angela Nicolettou draws on her Cypriot roots and shows how Greek cooking can be quick and healthy. Sunday’s program takes you on a culinary journey through Crete, Cyprus and Epiros, with demonstrations of regional cuisine by traditional home cooks. Participants include members of regional cultural associations, as well as the celebrated mums and from the kitchen at Philhellene. You can also learn about different ways to create great dishes out of delicious Greek yogurt, and see cross-cultural creations such as a Greek pizza! Cooking demonstrations will run from 2pm-7pm Saturday 25 February and 1pm-7pm Sunday 26 February.